Keene FC was newly engaged in the United Premier Soccer League (UPSL) this year. 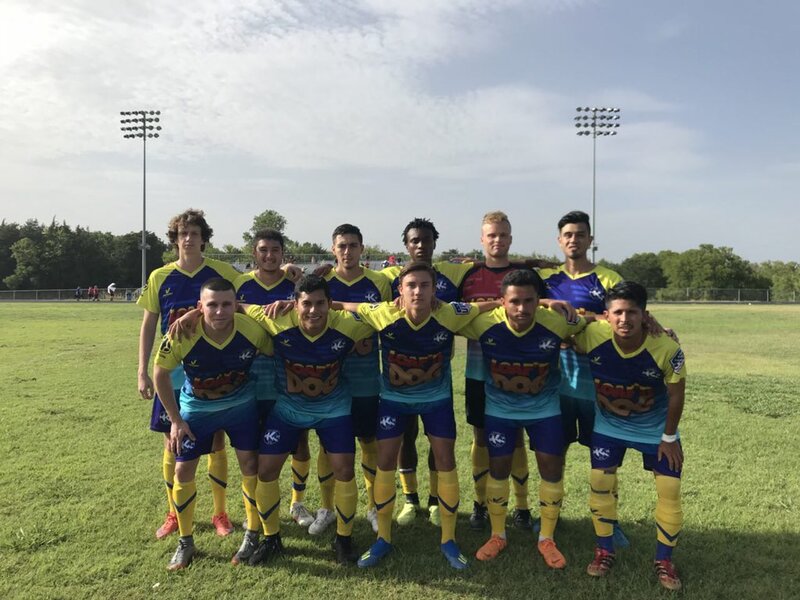 This club from a very little city in Texas struggled in terms of results but showed a lot of passion and developed ideas to get some attention and visibility. Read their story. Keene FC, you may not have heard of them, but this club was newly engaged in the United Premier Soccer League (UPSL) this year. Keene is a tiny city of 6,293 inhabitants in Texas where soccer is the main sport in high school, a rarity in the States. For their first season, the team created in 2017 by Matt Kahla Jr. and Brentt Miller suffered in the Central Conference, North Division. A side coached by Ebenezer Ola Fobowaje, a former Nigerian international player, they didn’t cope well with their opponents in the conference. In eight matches, the team managed only 2 draws and six losses, conceding 29 goals and scoring five. Disappointing results, perhaps, but the enthusiasm on and off the pitch certainly shows the passion behind the club. Their best result is undoubtedly when they managed to draw with Texas Spurs at home on 22 May, leveling the score at 3-3 in stoppage time. Beside the fact the goal is quite stylish, listen to the reactions on the bench and in the stands! “We see tremendous growth in the area with soccer, and what’s so enticing is that Keene doesn’t play American football. It’s a tight-knit community that’s already showing a ton of interest in soccer”, said Miller in a local newspaper a few months ago. Creative as a local club has to be, Keene FC has just launched a bi-weekly video series called “The Process” which you can watch on mycujoo. A good way to watch the club from inside. They also introduced a hashtag, #SupporttheCharge, a way to catch the attention of young local soccer fans. Miller also explained this was “a reference to Keene’s need for electricity in the 1930’s. Three students took it upon themselves to build an electric generator plant for the town. ‘Support the Charge’ is an ode to those students”. This season, the team was comprised of former college players, including Australian goalkeeper Pat Satorie, who had impressive stats at West Texas A&M, with 158 career saves including 22 shutouts in one season in the NCAA. However, the results this year were not there, and the club wants to reinforce for the upcoming season. To do so they started with recruiting a former MLS star, José Burciaga Jr., as General Manager of the team, in July. A former member of the MLS Best XI (2006) and KC Wizards MVP (2006), Burciaga established the Wizards Futbol Club in Dallas, Texas together with his dad. A football academy aiming to train and develop players for college and beyond. A first step to more success? We will see next season… But for now the UPSL playoffs are on the way with the four quarter finals happening on 11 August on mycujoo. (Milwaukee Bavarian SC vs. Mass United FC, Boise Cutthroats FC vs. Sporting AZ FC, Florida Soccer Soldiers vs. Inocentes FC, Santa Ana Winds vs. FC Boulder).